"It would be a mistake to wait until the 11th hour" to extend the nation's borrowing authority, Treasury Secretary Jack Lew warned on Monday. With just days to go before the suspension of the nation's debt ceiling ends, Treasury Secretary Jack Lew issued yet another public warning to Congress to act fast to extend the nation's borrowing authority. "The bottom line is time is short," Lew said, speaking at the Bipartisan Policy Center on Monday morning. If lawmakers don't act before this Friday -- the official end of the suspension -- the Treasury Department will be forced to use special accounting maneuvers known as "extraordinary measures" to continue to finance the government so that it can continue to meet its financial obligations in full and on time. Those obligations include everything from issuing Social Security checks to paying government contractors to making payroll for federal workers and military personnel. 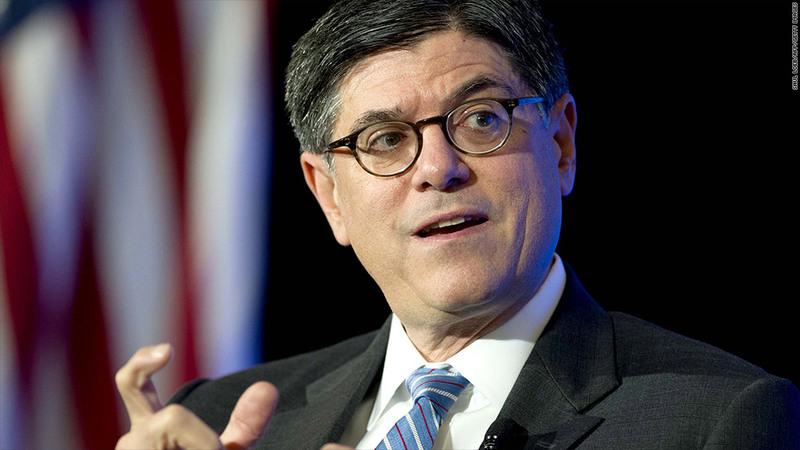 Lew estimates that those extraordinary measures will run out by the end of February. If Congress hasn't acted by then, Treasury will only be able to pay bills with the cash balance it has on hand plus incoming revenue. But those will not be sufficient to meet the country's obligations in full for long. "Without borrowing authority, at some point very soon, it would not be possible to meet all of the obligations of the federal government," Lew said. He noted that Treasury will be drawing down its cash balance faster in February than at any other time of the year because it's a big month for issuing tax refunds. The net result: If Congress doesn't act soon, the United States could be at risk of default as soon as March. House Republicans last week again said they would demand conditions be met before they agreed to raise the debt ceiling. They didn't specify, however, what those demands would be. But in the wake of a disastrous debt ceiling fight in 2011 and a government shutdown last fall, the expectation is that any GOP demands would be comparatively minor. The White House and Lew continue to assert that they will not negotiate over the debt ceiling. If lawmakers can't agree on whether or how much to raise the debt ceiling, it's very possible they will opt for another suspension. A suspension doesn't technically raise the debt ceiling, but lets Treasury keep borrowing as needed to pay the country's bills, thereby averting default on U.S. obligations. And it doesn't force lawmakers to go on the record as voting for an increase.